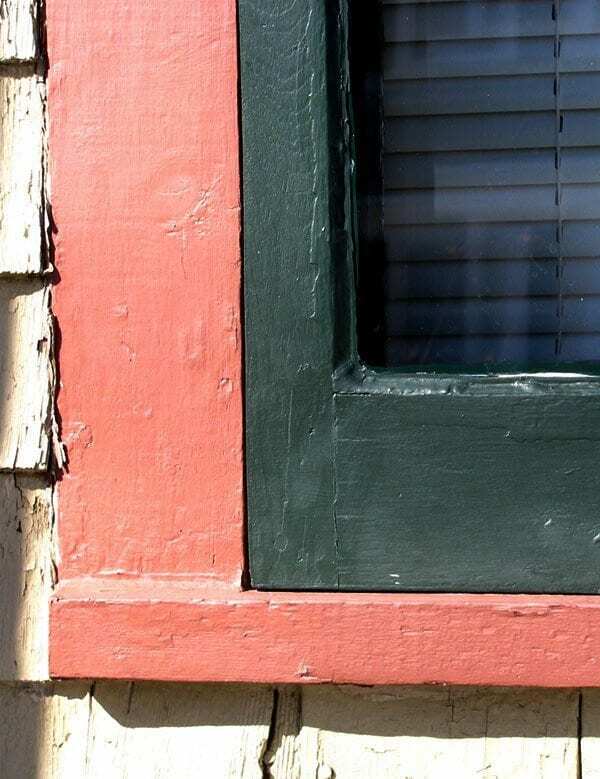 Wood window restoration and repair is something that needs to be done about every 50 years. If you wait until your windows are in an emergency state of repair, you’re taking a risk and the task of wood window restoration will that much more involved. Replacement window companies will often compare their product to a neglected historic wood window that has NOT been restored or maintained – an old wood window that would undoubtedly be drafty and inefficient. Window companies will boast that their windows are Maintenance Free. That is true because Maintenance Free means Cannot be Maintained. Their replacement windows will be in the landfill in 20 years. 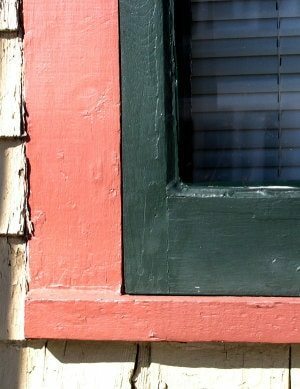 Wood window restoration and repair is easier than you think. Old wood windows were made to be repaired. They can easily be taken apart to insert new rails or muntins (cross pieces separating the panes). Broken parts can be remade or whole sashes can be duplicated. They can last 200+ years. Rotted wood can be repaired to look like new with easy-to-use epoxy fillers designed for wood window restoration (see Abatron ad below). 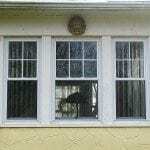 In many cases, these windows have been in service for over a hundred years with much of their deterioration resulting directly from a lack of maintenance. With repairs and regular maintenance, the life of these old wood windows can be extended for an additional 200 years. You are a steward to and old building with old windows. Please be responsible and Do NOT neglect your old windows. Wood storm window is rotted out but can be restored. Wood window restoration saved this hanging wood storm window from the landfill. Click here to visit ABATRON and purchase their products. The quality of the wood your old windows are made of will not be seen again. That virgin forest wood is close-grained and resinous. Today’s young lumber cannot match the longevity of the historic wood. There is now a new process for making softer wood hard as a rock. It’s called Thermally Modified Wood and you can read more about it here. To trash your old windows is to trash a superior material that can no longer be purchased. 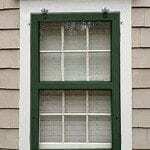 A replacement window will need replacement before the old one would have needed simple maintenance. Replacement windows are disposable and will end up in the landfill, contributing to more waste. Multiply that replacement being replaced again every 20 years. All the manufacturer needs to do is sit by and wait for the money to come in again and again. In this book John covers traditional methods and the latest in modern high-tech materials and techniques. 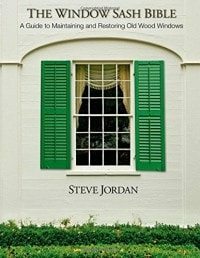 Steve Jordan – The Window Sash Bible – Do it Yourself Window Restoration. In this book Steve covers traditional methods and the latest in modern high-tech materials and techniques. 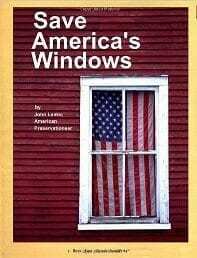 The Michigan State Historic Preservation Office received a grant to fund a five part video series – “Simple Steps to Working Windows”. In these detailed videos, viewers will learn what it takes and how to repair and restore old wood windows. Window Information Continued . . .
Click below to continue to the Next Page or return to the Windows Menu. Learn to Recognize Good from Bad Window Design. 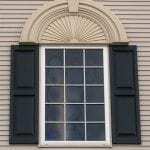 See and understand the visual impact windows have on curb appeal and our inner senses. 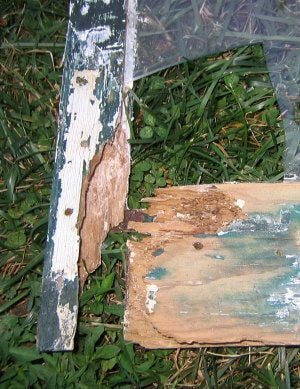 I live in Southern VT. Can you recommend any company that repairs and restores wood windows in my area? Please refer to my windows page for someone in your area. Hello! Does anyone have any feedback as to how much they’ve paid to have their old windows restored? Windows re-glazed, ropes replaced, weather-stripped, and wood sashes/opening re-finished? I know there are some different variables but just trying to get an idea of an appropriate cost range. Thanks! 6/6 double hung apx. $1000 in NJ. $1,000-$1,100/window for original Victorian double-hung windows here in Northern California. a) do I need to sand off ALL former paint? b) should I use some primer before spray painting/coating? All paint should be removed before priming and painting. Do no use spray paint. My old windows have 5 layers of paint in them, three of which tested positive for lead. Make sure you know proper lead abatement techniques when removing old paint. Friend of my Father died from lead poisoning from painting an old house. Looking for someone to repair old wood windows in my rent house in Searcy Arkansas, any recommendations of anyone close? Did you look at our listing of window restorers? I just came across your site thankfully! We have a grade 2 listed Georgian gentleman’s residence in the UK. I am not sure if the paint rules for sash windows and rules on Trim for skirting boards etc would be the same in the UK houses, but i am thinking so as it would stem from classical design? We have three, 200 year old, 6 over 6 huge sash windows that we were going to replace with ones built in Wood following the same design , so should look exactly the same when made. The conservation officer agreed to us doing this if we please. We got a restoration joiner to look at our windows and he said it would be about £1500 to restore the windows, or the same to remake new windows, as the entire lower sashes need to be replaced apparently. The house was not maintained for 50 years so alot of the windows have peeling paint (black) and are bare in some areas. I am thinking now after reading this about the old wood being highly superior, that maybe it is a mistake to replace them? We were worried to spend £1500 repairing a window ony to find we needed to replace it later anyway and thought maybe new windows would give us greater life. Could you tell if i emailed you pics whether they are too far gone or not? Hi – It’s up to your restorer if he thinks the wood is restorable based on his expertise. Personally I would prefer the original old wood that is stronger than what you get today. I’m sure they won’t use pine but something stronger by today’s standards anyway. Practically all windows can be restored. I remember when I worked for the state we had a window that had rotted muntins and just the muntins were remade. No one really knows if new hard wood will last longer than the 200 years you already got from the originals. At least you will know they are the originals but see what your restorer says. After years of dealing with window replacement people knocking on my door I still enjoy the athstedics our old Windows. New dilemma. Restoring a door in back that still has punched louver screen on oak frame. Can’t find anything about this. Small area needs replaced. Suggestions? Thank you for this video. Part 3 answered all my questions on what I should do after I broke my glass while restoring my house windows. Again, thank you. I need a reliable contractor in DC area who can repair and restore my old windows. They are in decent shape and conditional actually, so they only require small fixes like reglazing, filling up a few rotted spots, fixing a sash rope etc. I checked the list on this website but couldn’t find someone who actually does work in the area or would do the repairs I need. Any help is much appreciated. Thanks. Onur. Sorry – The contractors I know are posted. Not keeping any to myself if that’s what you mean. We have 8 over 12 colonial style sashes from 1939 in good wood condition. I have restored many with Dap 33 but hate its slow set time. really a waste of time. I am good at it. Our Ace Hardware guy says he has used Nu-Puttie for years and calls it durable. A sash he did one day before seemed paintable to me. It laid in very very smooth. He gave me a test gob of it. It laid in smooth for me. I put over 150 hours into each pair of sashes. Should I risk this stuff?? No – Sarco glazing putty is the best you can get by far. excellent videos thank you so much. i have built a few sashes for my house. they had been tightened up with weatherstrip and metal strip grooved into the sides. now, i am considering a contract job of removing a housefull of replacement windows and building all new wooden sash. what are your thoughts on incorporating those “improvements” on a new build? also, after priming and glazing how long to wait before painting the fresh glaze? New build? – why not. Glazing – I have no idea.